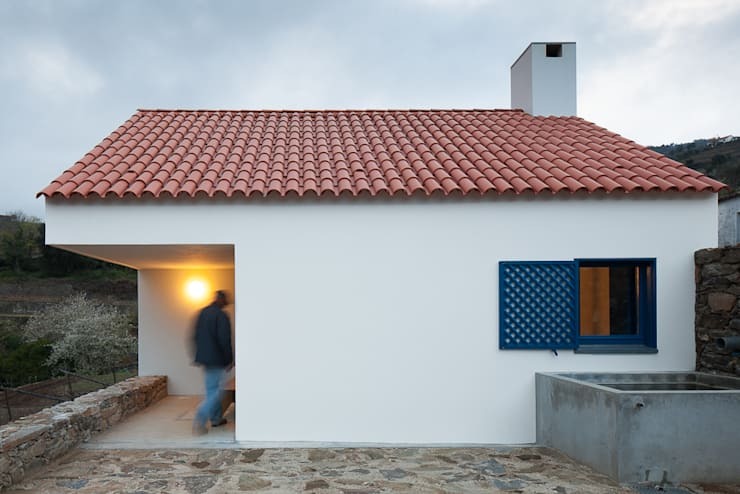 The cottage has a classic form and red ceramic roof tiles that are common in the rural Mediterranean. This helps ground the home within the history of the area and creates a smooth transition from old to new. They also add a vibrant earthy colour to the facade. For hints of the interior design, check out the suspended roof entry and the blue wooden window on the right. 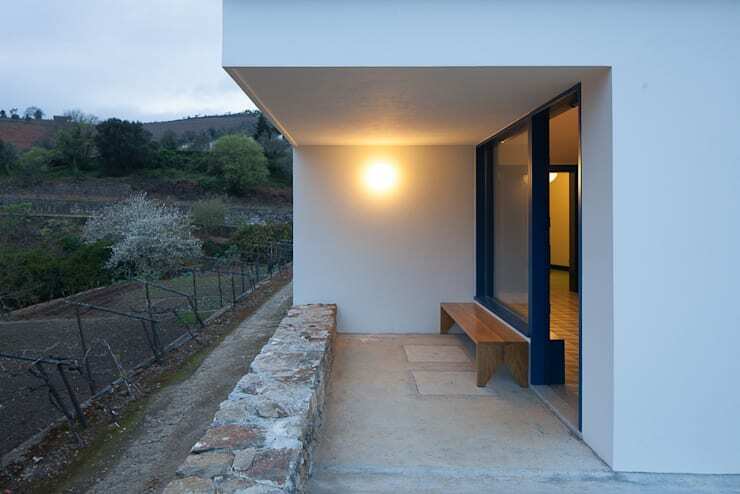 The entrance is recessed within a porch with expansive natural views. The rustic modern theme is established by the use of a low stone-wall and minimalist features. This is a home in which to enjoy the simple things in life, so there is just a simple wooden bench on which to sit and enjoy the views. The combined kitchen/dining/living room makes a striking impression. 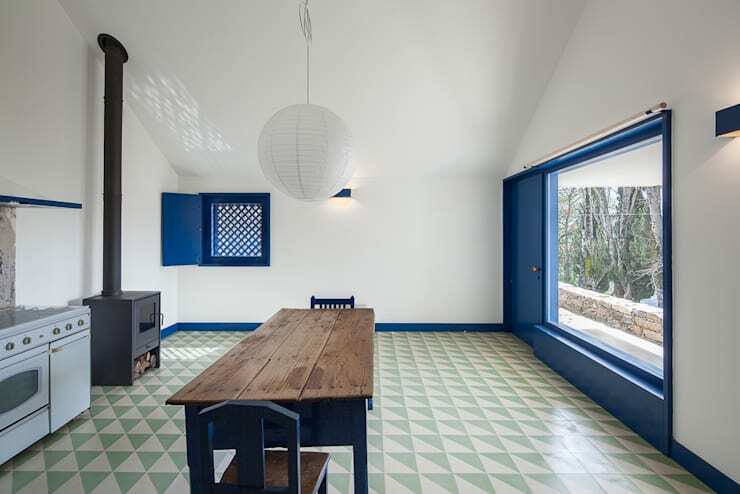 The soft green geometric floor tiles will definitely appeal to many readers. The green hue works with the deep blue to create a feel that is both modern and retro. But it's the huge white peaked ceiling and large expanses of white that really set this combination off. We love the light, airy quality of this home. It's one that was very rarely seen in the original version of these older-style rural cottages. We've fallen a little bit in love with this corner of the home. It presents the three elements of colour, pattern and cosiness that really give this home character and style. There is actually very little else to be seen here, but it's clear to see that a simple, strong style can easily provide all the decoration and interior might need. 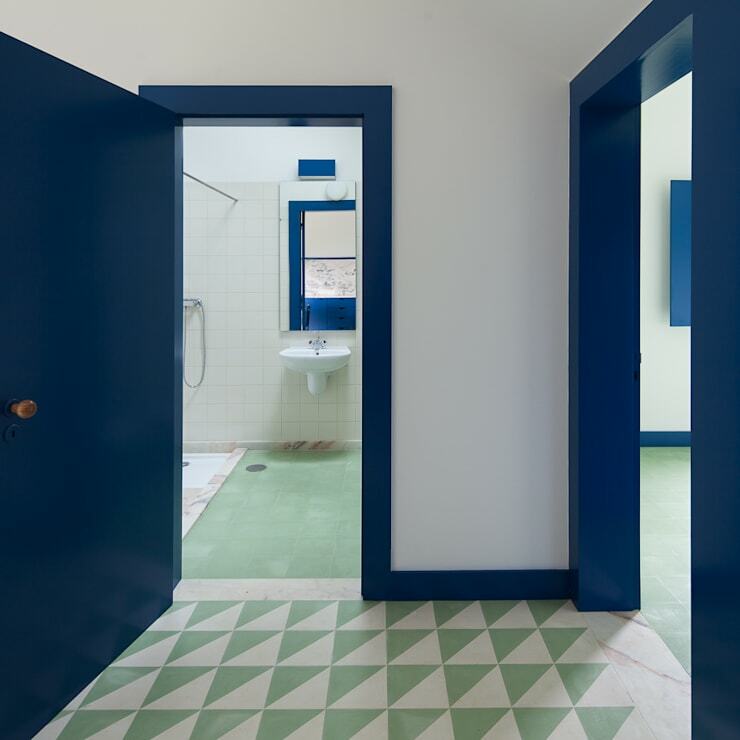 The original home was greatly simplified and the entrances to the other rooms were all set behind this one, deep blue wall. 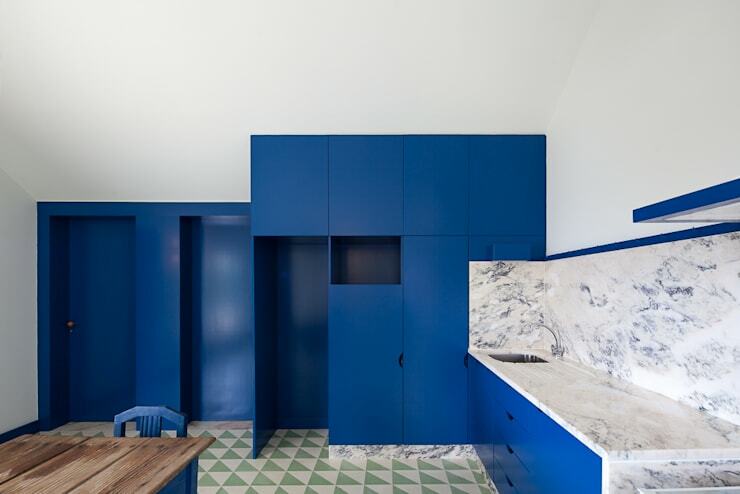 This blue hue has been used to seamlessly blend these doors and the kitchen cabinetry into one impression. It's a bold move but one that makes the home appear far more simple than it actually is. Finally, check out the white marble in the kitchen. It runs without a visual break all the way from the splashback to the countertop and even down to the floor. The light and vibrant feel of the home is continued in the transitional areas. There are no heavy furnishings and the interior has lots of large white spaces. But it's the blue trims on the doorways that really expands our sense of space. It draws the eye upwards and gives the home a bright, elevated quality. This home certainly has an ambience that's perfect for those looking to furnish a relaxing country home with a difference. For more of the simple things in life, check out 10 perfectly simple homes you'll wish were yours. 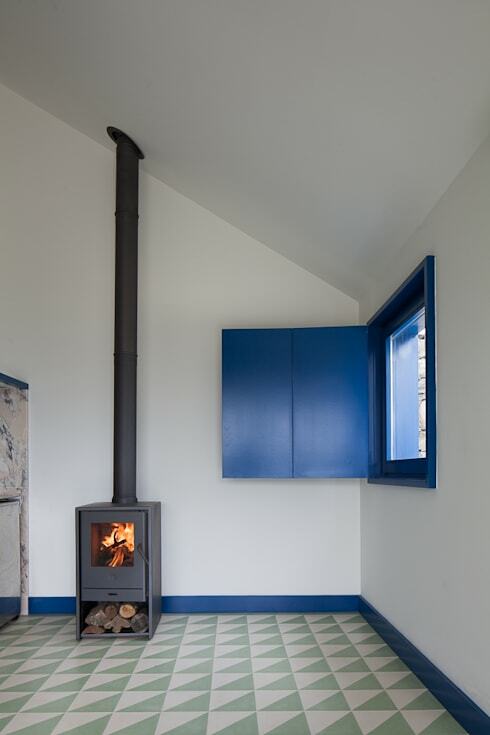 What do you think of the deep blue features in this country home?